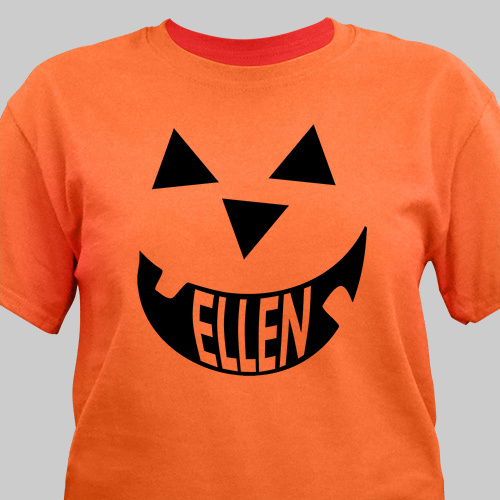 Our Pumpkin Face Orange Personalized Halloween shirts are a great Treat for any one. It makes a unique and simple Halloween costume or simply a fun shirt to wear while handing out candy this Halloween. 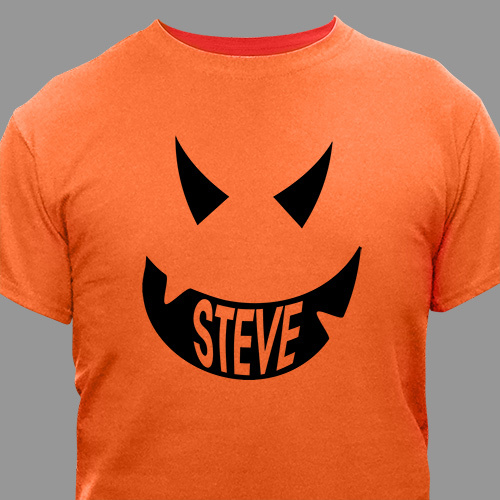 Your Personalized Halloween T-shirt is available on our premium orange 100% Cotton Personalized machine washable in adult sizes S-3XL and youth sizes XS-L. Personalized Halloween Pumpkin T-shirt includes printing with any name FREE. Please choose Scary or Happy Face. Name is printed within the Halloween pumpkin face. I likes it a whole lot, but I needed a smaller size.